The Dutch courts are overly lenient in punishing thefts from public museums in the Netherlands, which are on the rise. An anecdotal comparison between thefts from the Strawbery Banke museum in Portsmouth, New Hampshire, and the Van Gogh Museum in Amsterdam yields a ratio of ten to one between American versus Dutch sentencing. Because the prospect of a heavy sentence may induce a thief to help the police recover the loot, longer terms are called for. Scott Ford had the bad luck of being spotted by a caretaker on 13 March 2003 while he was loading his van full of antiques from the Strawbery Banke open-air museum in Portsmouth, New Hampshire. He was caught with the slightly damaged goods, worth some $300,000, later that day. Earlier this month he was sentenced to a four- to eight-year prison term. Henk B. and Octave D. got a lot more mileage out of the four-year term to which they too were sentenced for a museum job. 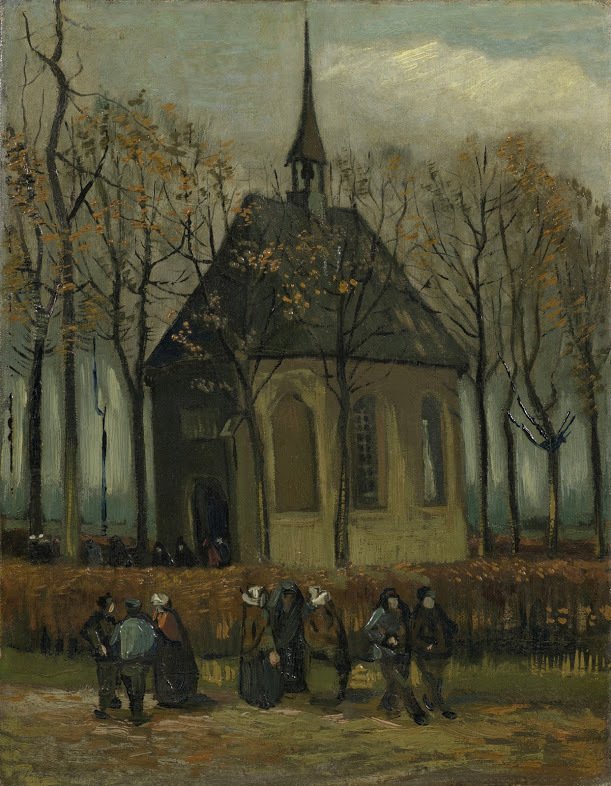 The sea at Scheveningen (1882) and Congregation leaving the Reformed Church in Nuenen (1884-85), which they stole from the Van Gogh Museum in 2002 and which have not been recovered [see below], are valued at $4 million. Even had Ford gotten away with his loot, he would only have earned $200 per detention diem, before fence’s charge and taxes. The Van Gogh team grossed nearly ten times as much apiece. Put in different terms, one could say that the sentence laid down by the American judge was ten times heavier than the Dutch one. This may conform in general to patterns of sentencing in the two countries, but it still comes as a shock that Dutch courts do not take art theft more seriously than they do. Sentencing is not only a matter of punishment; it is also a weapon that the state can use to recover loot. The prospect of receiving a light sentence lowers whatever motivation a thief might have to cooperate in this way before trial. This effect is compounded by the absurdly short statute of limitations for theft in the Netherlands. After a mere three years the victim loses title to stolen goods that were acquired “in good faith” (give it a name!) by a third party; after 20 years even the burglar can sell his take freely. The thief of Dutch museum art who has gotten off with the goods can look forward to a carefree old age. 16 May 2017. A case of museum theft published in the original text has been excised. The perpetrator, a museum curator, paid his debt to society and was released from prison ten years ago. 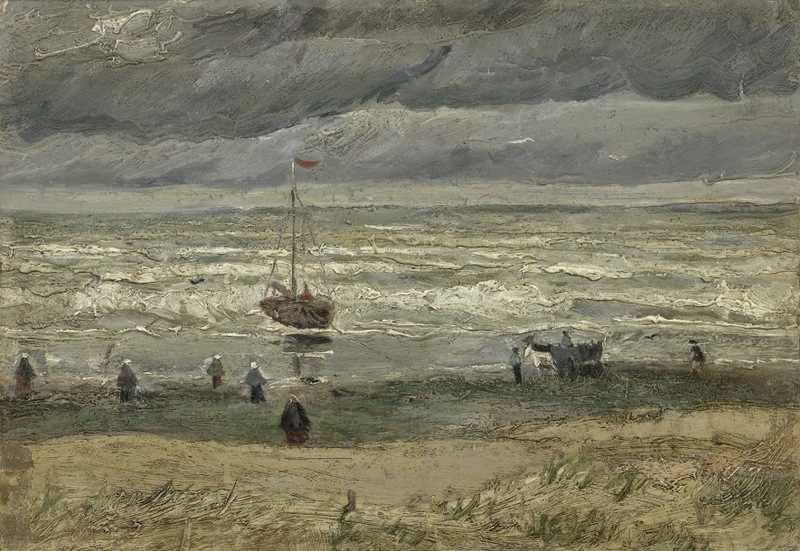 The two van Gogh paintings stolen from the Van Gogh Museum in 2002 were recovered in September 2015. The story of the theft was the subject of a remarkable documentary by Vincent Verweij (in Dutch), in which one of the thieves tells the complete story of the theft and its aftermath. The John Adams Institute pulled off a terrific coup on 13 April. In the Concertgebouw, with the queen in attendance, the premiere was performed of “John Adams in Amsterdam: a song for Abigail” by Gary Fagin and Terry Quinn and the first copy was presented of a collection of essays entitled John Adams in Holland. The John Adams Institute normally holds lectures by American writers and public personalities; the evening in the Concertgebouw was a departure from their routine, and they pulled it off brilliantly. Until I resigned last year, I was on the board of the John Adams Institute for eight years, and that Wednesday evening of course I was sorry that I had left. As a board member, I launched the idea of honoring the man in our title, who was the first U.S. ambassador to the Netherlands – in fact, the first U.S. ambassador anywhere – with special events. I did not think of a concert. My own suggestion was an annual John Adams Lecture, devoted to the present-day meaning of Adams’s thinking and accomplishments. For the kick-off, I wanted a lecture on present-day practice regarding Adams’s main enterprise in Holland, the financing of a revolution. Maybe it’s just as well I left. I don’t think Her Majesty would have attended the lecture I had in mind. Although she has surprised me in the past. A non-Schwartzlist item: last week I published an interview in Het Financieele Dagblad with René Teijgeler, a Dutch conservation expert who served for seven months as Senior Advisor to the Iraqi Minister of Culture as the successor to Zainab Bahrani. “Cultuurbehoud in Babylon” (Protecting cultural heritage on the battlegrounds of the 21st century), Het Financieele Dagblad: Persoonlijk, 16 April 2005, pp. 6-9. I will keep the list informed about the projected publication of the interview in English and German. Teijgeler has a distinctly different take on events than Bahrani.